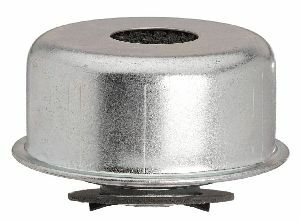 Showing 1 - 5 of 5 Products for Engine Crankcase Breather Cap. Bright zinc plated cam on breather oil filler cap. Has a 1" diameter hole for PCV valve. Made of quality material. Designed to fit and function as the OE cap. Replaces the factory filler cap. 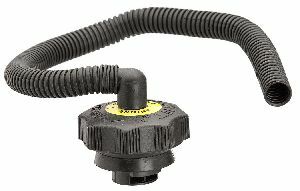 Black plastic Cam-on breather cap. Made of quality material. Designed to fit and function as the OE cap. Replaces the factory filler cap.